"I needed a very fast Flash Drive for recording live TV. This drive does the job perfectly. I am very pleased with it." 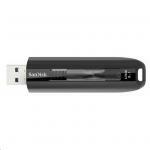 "This USB stick has a robust build, is super fast and has plenty of storage space. 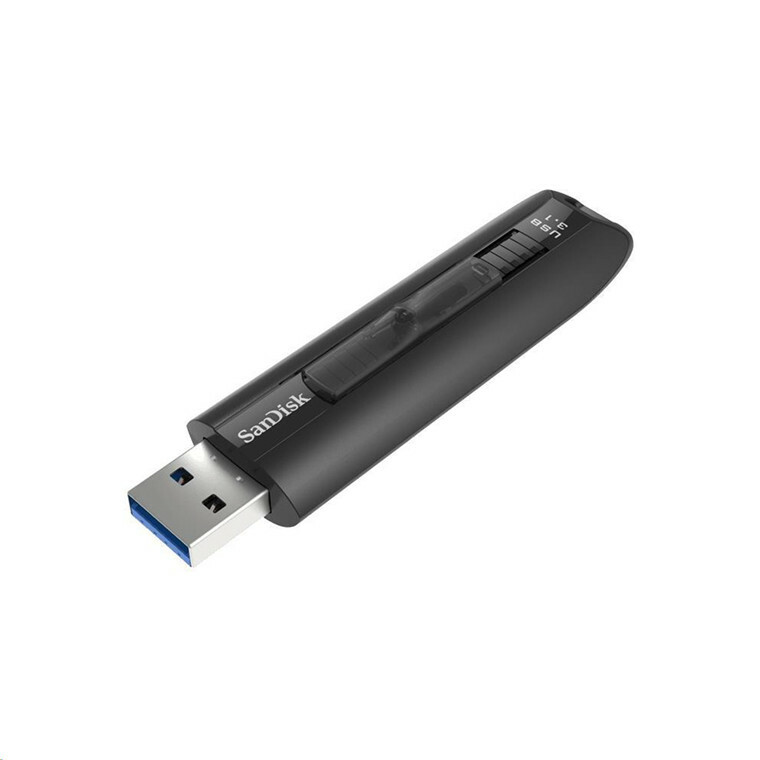 is designed really well it is really firm when you plug it in unlike USB sticks i've had in the past where they are..."
With write speeds of up to 150MB/s, the SanDisk Extreme® Go USB 3.1 Flash Drive lets you quickly copy and go. Up to 35X faster than standard USB 2.0 drives, so you can transfer a full-length 4K movie to the drive in less than 40 seconds1. The design keeps the retractable connector protected when not in use, and the included SanDisk SecureAccess™ software provides password protection3 of your private files while leaving the rest of the drive available for sharing. With write speeds of up to 150MB/s, the SanDisk Extreme® Go USB 3.1 Flash Drive is 35X faster than standard USB 2.0 drives** so you can transfer a full-length 4K movie in less than 40 seconds1 or 1000 photos in less than 60 seconds2. The USB connector retracts to keep it safe when you're not using it. The SanDisk Extreme Go USB 3.1 Flash Drive is backward-compatible so you can plug it into any USB 2.0 or 3.0 port. Create a private folder on your drive with SanDisk SecureAccess software. This 128-bit AES encryption software makes it easy to password-protect critical files3. Drag and drop files into the vault, and they'll be protected. The drive comes with a RescuePRO Deluxe data recovery software download offer4. This software makes it easy to recover files that have been accidentally deleted (download required). I needed a very fast Flash Drive for recording live TV. This drive does the job perfectly. I am very pleased with it.I needed a very fast Flash Drive for recording live TV. This drive does the job perfectly. I am very pleased with it. This USB stick has a robust build, is super fast and has plenty of storage space. is designed really well it is really firm when you plug it in unlike USB sticks i've had in the past where they are difficult to use, this one is very reliable.This USB stick has a robust build, is super fast and has plenty of storage space. is designed really well it is really firm when you plug it in unlike USB sticks i've had in the past where they are difficult to use, this one is very reliable. No question about the speed although I am not an benchmark expert. The only issue I have with this stick is the flimsy case which feels so fragile. For an $80 stick you expect it to come with a harder external case.No question about the speed although I am not an benchmark expert. The only issue I have with this stick is the flimsy case which feels so fragile. For an $80 stick you expect it to come with a harder external case. PB Tech price: PB Tech price: $39.13 ex. $45.00 inc.